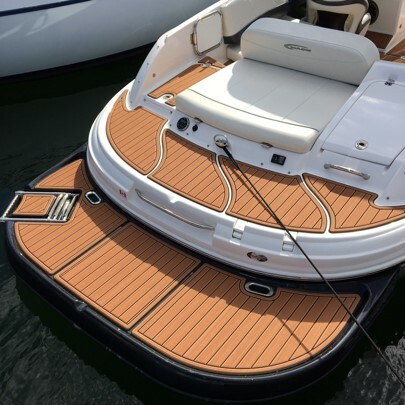 Give your boat brand a unique touch by using our decking solutions. Create your own custom graphics and layouts without any restrictions. Feel free to expand your ideas also to most demanding double curved surfaces. Dual layer foam decking for the traditional teak-look and custom patterns. 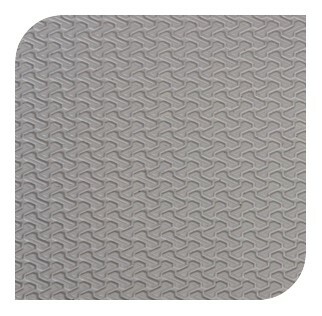 We use CNC-routing through the top layer of the foam exposing the layer underneath. Edges are beveled to create a high-quality look ad feel. You can select either brushed or buffed surface finish. Dot is a revolutionary tread offering a modern functional aesthetic. You can select either single color tread or read with a contrasting base color foam for CNC routing to create impressive custom looks. All pieces are naturally supplied fully manufactured with or without marine-grade adhesive so they are ready to install. Both Octi and Z treads are designed to improve underfoot comfort and safety whilst increasing protection of the boat. These hard wearing threads are ideal fo r floors, rails trailers and general wet areas where improved protection and ant-slip characteristics are reuired. Threads are supplied with pre-glue marine rade double sided adhesive for easy and secure installation.